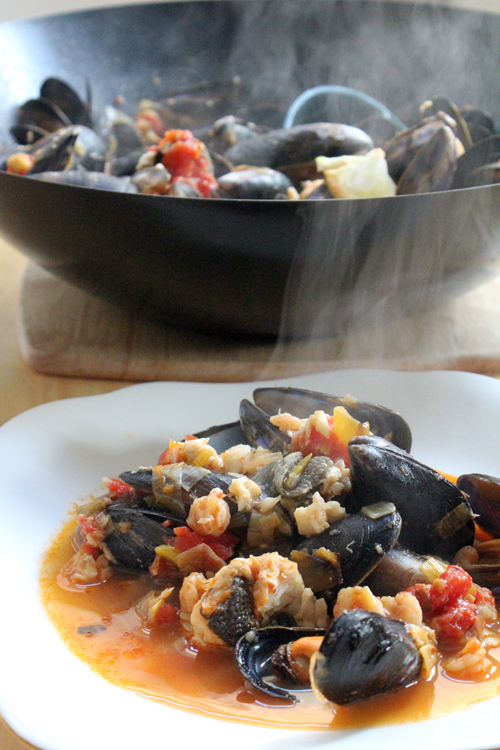 Fish Stew | Abandon Spoon! I do confess to having had some help on this dish from my trusty assistant who has the pleasure of tasting all my cooking and baking success and disasters! 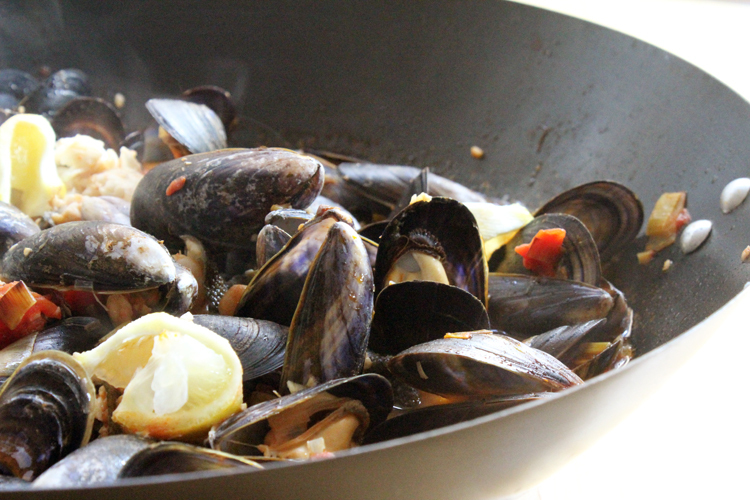 Credit where credit is due- he did most of the tricky bits, like opening all of the mussel shells and scrubbing them clean (as well as also carrying home all of the ingredients). 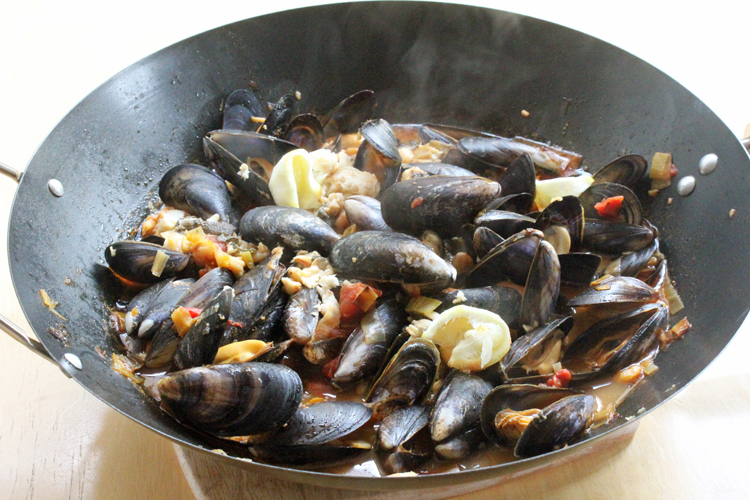 Buying fresh fish in my opinion is always better if you can find a good fishmonger- I happen to have some near me and the mussels were actually bought from Haringey Farmers Market. 1. Peel and devein prawns, leaving the tails intact. 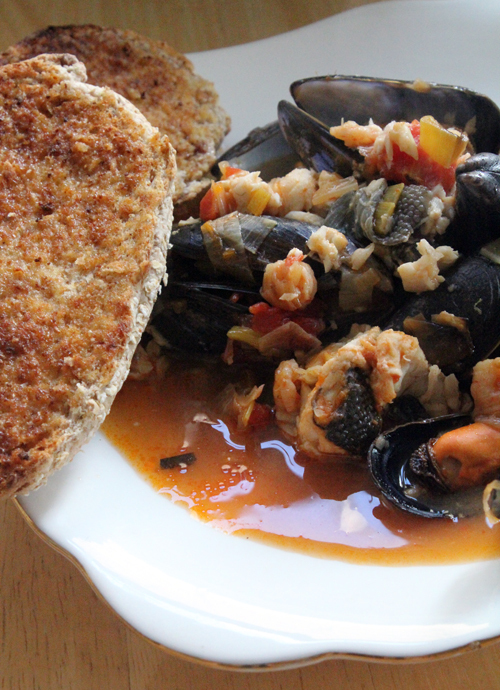 Scrub mussels, then pull off the beard (the little seaweedy bit that hangs from the join). 2. Heat oil in a large saucepan over medium-low heat. Add leek and peppers and cook for 10 mins, stirring occasionally, until soft and lightly coloured. Add garlic and cook, stirring, for 1 min. 3. 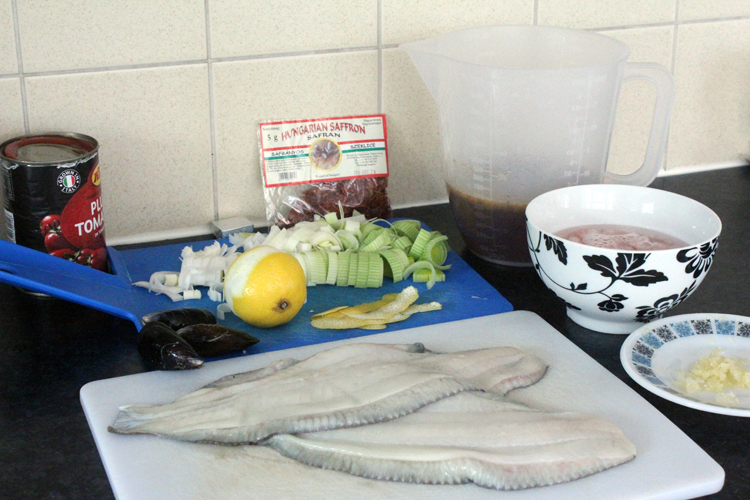 Add tomato, stock, saffron and lemon rind, and bring to the boil. Reduce heat to low and simmer, covered, for 15 minutes. 4. 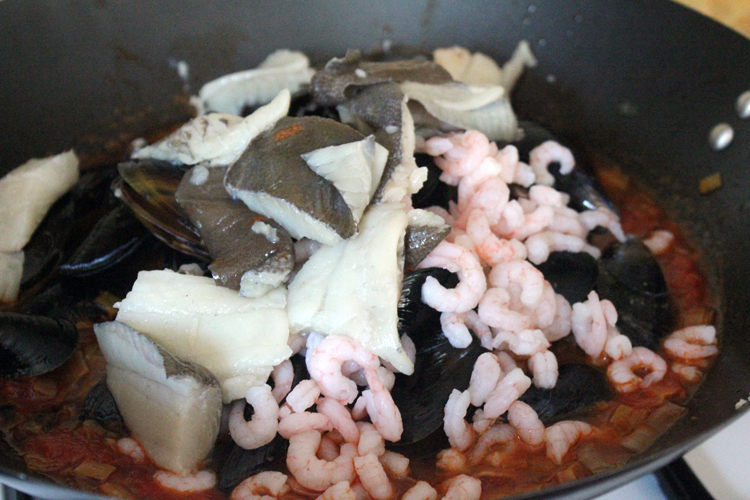 Add fish, prawns and mussels and cook, covered, for 5 mins, until mussels open up and fish and prawns change colour. I don’t actually like peppers so did not add them to my version of this recipe, still tastes really good though! Best to serve with bread to mop up all of the juicy sauce.